The year is coming to an end and Christmas too is getting closer. 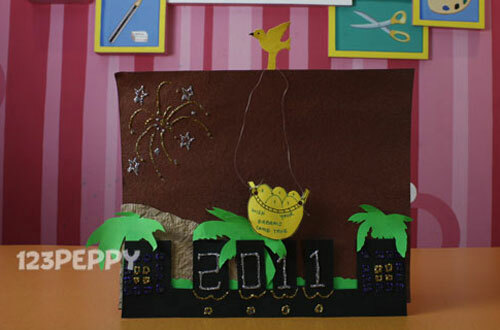 Here is a chance to make your own greeting cards to send to your loved ones. An easy to make craft idea with step by step instructions, for kindergarteners, preschool kids. Even the toddlers can try it with the help from parents.